The Imperial 7 inch. to 6 inch. galvanized reducer is to reduce diameter of galvanized round perimeter pipe when making connections. Allows for 7 inch. diameter round pipe to connect to 6 inch. diameter round pipe. Reducers/Increasers are used to change the diameter of the pipe while leading to the end destination. Founded in 1972, Don Park LP is one of Canada's largest Sheet Metal Manufacturers offering a complete line of residential and commercial air distribution products. Efforts to reduce our environmental footprint include recycling programs for scrap metal, corrugate, paper, aluminum, stainless and copper. 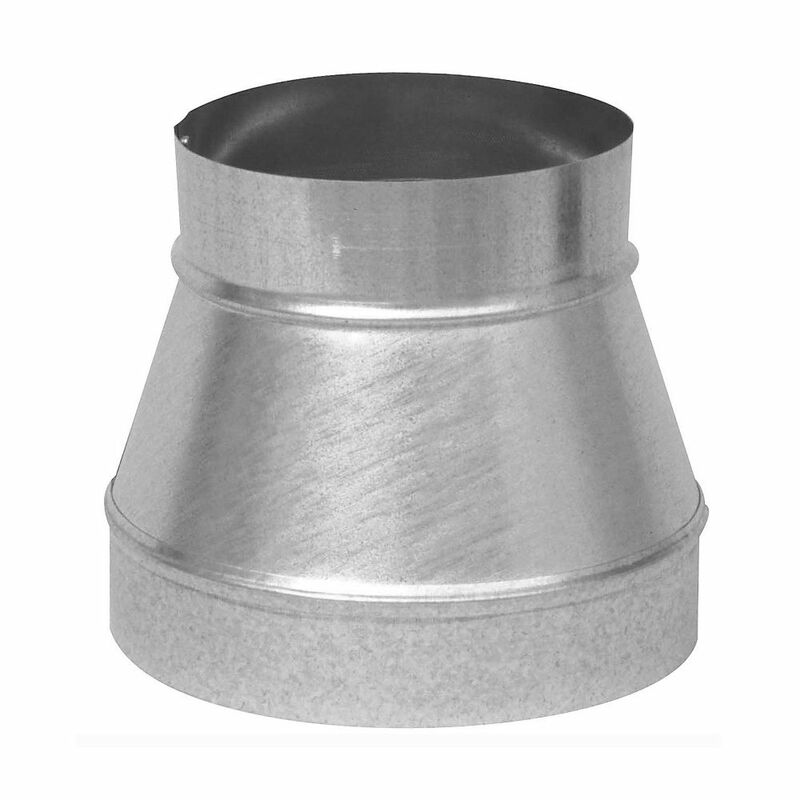 The 3 1/4 inch x 10 inch x 7 inch universal boot straight is used for in-line transition from round pipe or insulated flexible duct to a register or grille. Used for in-line transition from round pipe or insulated flexible duct to a register or grille. 7 - 6 Inch Increaser / Reducer No Crimp The Imperial 7 inch. to 6 inch. galvanized reducer is to reduce diameter of galvanized round perimeter pipe when making connections. Allows for 7 inch. diameter round pipe to connect to 6 inch. diameter round pipe.